I have a credit card debt problem with Discover Card. I personally have $6000 on my Discover Card and $2000 on a Dillard’s Card. I’m now current on my cards but because of financial problems I was unable to make a payment for 3 months and my credit score is now 630 down from 700. My bigger problem is I’m a co-signer on my mother’s Discover Card which is $4000 above the credit limit and no payment was made on it for 3 months. She became ill with cancer and was then involved in a car wreck. She wanted to take my name off of the account but Discover said no. They also said it was affecting my credit score as well. I wanted Discover to relieve me of the interest and lower my payment and they said no. Is there any way to resolve this without bankruptcy? The only way I know of is to pay them down. Call Discover, explain the situation. It does not sound like you are going to be able to pay the joint card and your card too. At this point it is all your card. 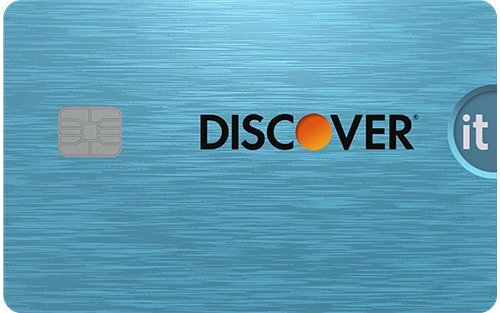 Expect Discover to shut down both cards if you don't make an arrangement with them. Like I said I would call and explain the situation with your mother and see what options they give you. You might also try writing a letter. That type of stuff use to work many years ago. I don't know if banks still respond but it is worth a shot. Search this forum, there is a thread about legit credit counseling agencies. They can negotiate on your behalf. DO NOT use someone you found via Google. Also many local communites have people that will also do it pro bono (for free). Again don't pay any money to anyone you found online that claims they can they can help you. My son was out of work for a while and was not paying his Discover. They worked with him but I'm not sure of the details. I think there is a catch, you have to be delinquent when you ask for help. Good luck. I would call again. I had my discover card maxed for about a year. All my payments were on time, though. I just kept paying the minimum but I wasn’t getting anywhere. I called them and explained I was in serious debt after losing my job and I was doing everything I could to pay them but I couldn’t keep it up much longer. I mentioned I was considering working with one of those debt relief companies but didn’t want to burn them so I wanted to work it out with them instead. They offered me a 6% apr for 6 months or 12% for 12 months to help me bring the total amount owed down. The catch was the card would be frozen and I wouldn’t be able to use the card again until it was PIF. I highly doubt BK is an option with only approx 8k in debt unless you are a super low earner. So options are paying them back or stiffing them and hoping they don't garnish your wages by a court order or working out a payment plan. Best bet it to get a second job and you will have it paid back in no-time.. With regards to your mothers cards as other stated you co-signed so you are liable for the debt.